The eyes are the centerpiece of the face; they can easily make or break your overall look. There are numerous ways to enhance your eyes and bring out their natural beauty, and makeup is just one of them. Of the many services we offer here at Von Anthony Salon, lash and brow tinting is up among our faves! It is a fast, easy, and inexpensive way to make a major impact with your eyes! If you’ve never tinted your lashes and/or brows, you might be wondering what it is. Trust us, you don’t want to go grabbing the nearest box of drugstore color! This is definitely not the time for a DIY. A professional is your best bet for this service. Not only because they have more control over the color itself, but also because we’re talking about a very sensitive area right next to your eyes. In other words, we are concerned about your safety and your eyesight! Most clients who request a tint usually do so due to a dramatic change in their hair color. Have you gone more than a few shades lighter or darker recently? Or perhaps your brows and lashes are fading to white or gray as you age? 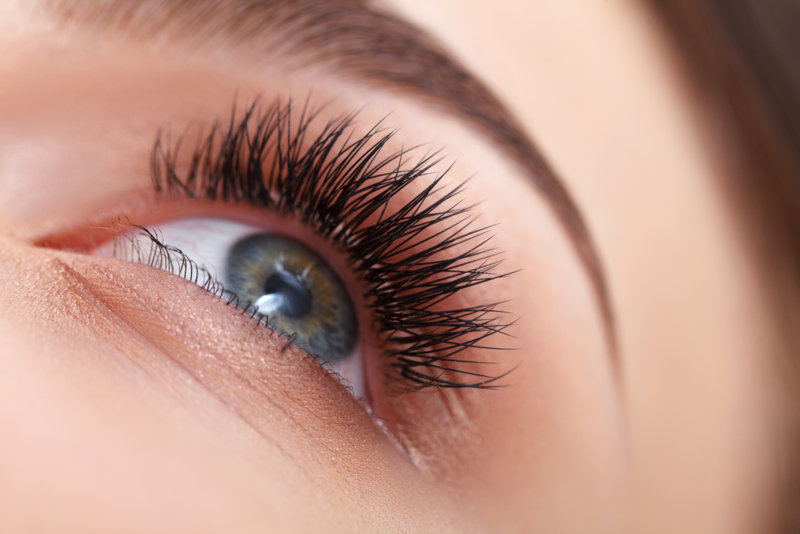 Tinting your lashes and brows is a quick and easy way to make your eyes to pop, in all the best ways. While it may seem like you need to create a perfect match between your tresses and your brows, this is not actually what you want. Hair and brows don’t naturally match exactly…. go ahead and visualize for a second… but instead are usually within a shade of each other. A professional has the experience and tools to ensure you get the shade that will perfectly complement your hair and your skin tone. Keep in mind that tinting your lashes and brows is not permanent. These hairs, like all others, have a natural growth cycle, so we recommend once a month touch ups to keep them fresh and fabulous. This is an easy add-on service to any hair or skin appointments you may already have, so no need to make more than one trip! Are you ready for the perfect finishing touch to your look? Make an appointment today at Von Anthony Salon. Our professional stylists will help you select a new color that complements your features and matches your individual style! To schedule an appointment, just give us a call at 972-731-7600 or take advantage of our mobile app to schedule at your convenience. Download it for free from iTunes, Google Play, or Amazon.